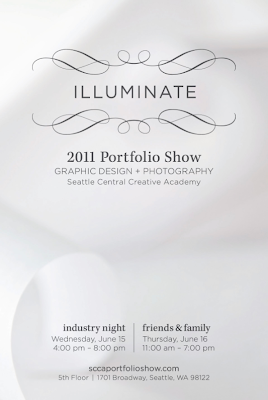 Illuminate | 2011 Seattle Central Creative Academy Portfolio Show from Seattle Central on Vimeo. 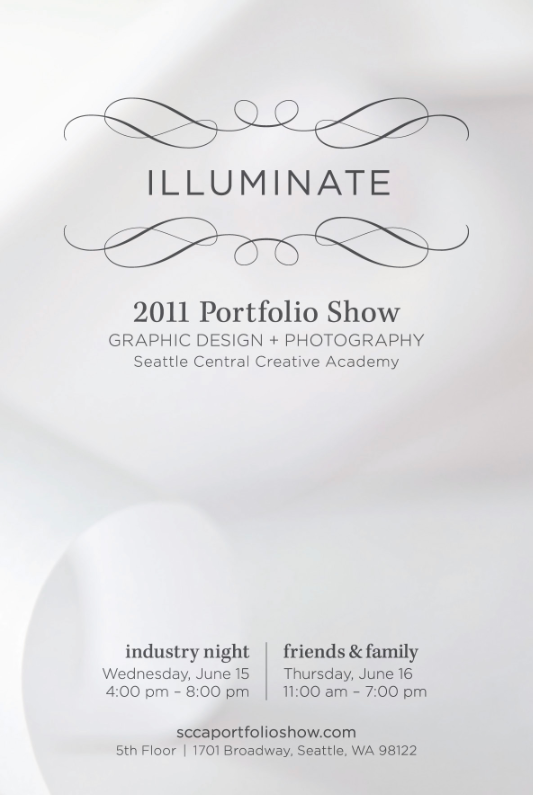 If you are in the Seattle area next Wednesday or Thursday, please come by to see the work of 63 graduating design and photography students at this year's Portfolio Show. Even if you aren't able to attend, you can view the show's site here and click on the student gallery to find links to their individual work. The Portfolio Show site was built by students Barry Sevig and Zach Self who have been working tirelessly to complete it this week. The photography students provided most all of the photos for this site and others. Meanwhile, look for more posts on my student's work in this space very soon. Much more to come!